As seen on TV: Fleece-washing kit! 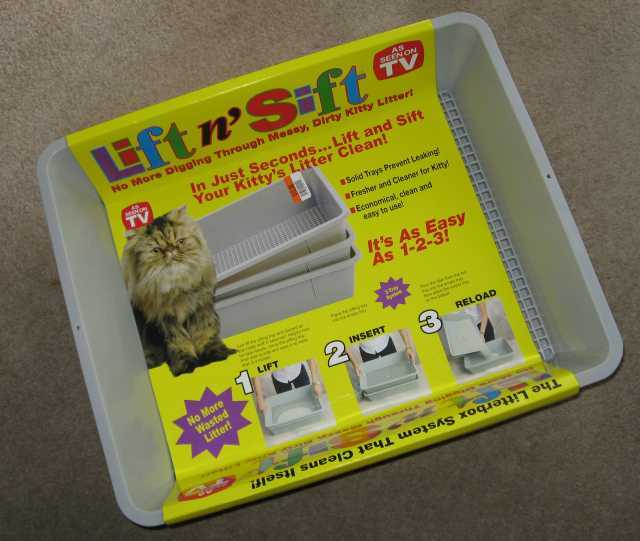 So I was walking through the local Big Lots store, which contains a grab-bag of close-outs, when I caught sight of this, which somebody thought was an easy-to-clean cat litter box, apparently "as seen on TV." I wouldn't know about the TV part, because we are in an area where cable is almost obligatory and we don't have it, and I don't know (or care) about the catbox part of it (even though I have a cat, who is happy with her current arrangements). I looked at it and thought: FLEECE-WASHING KIT! 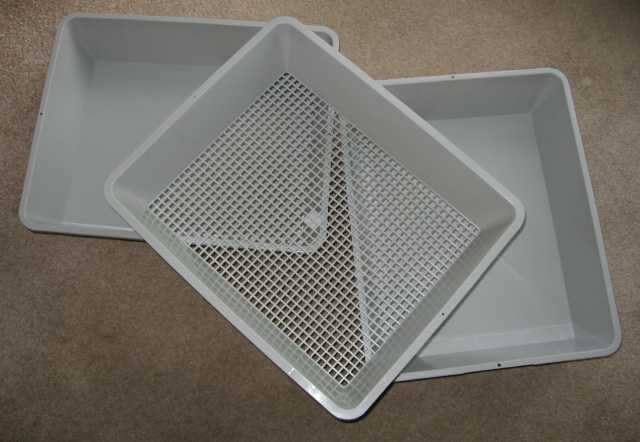 What the manufacturer sees as a "sifting tray" is, in truth, a perfect draining tray. There are even two solid trays in the set. Having that second one could be useful for rinses, or successive wash baths, depending on how you were working your sequence. 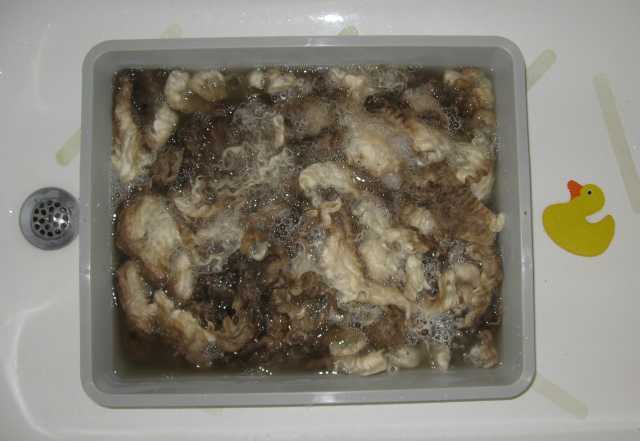 Here's some mighty dirty fleece soaking in detergent water. 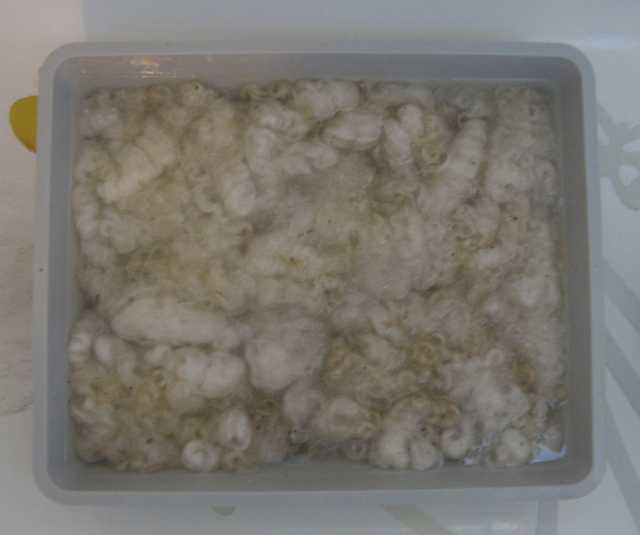 The wool is contained by the draining tray, which is sitting in one of the solid trays. Here I've lifted the draining tray and set it next to the soaking tray. Time to dump that grubby wash water on the right. 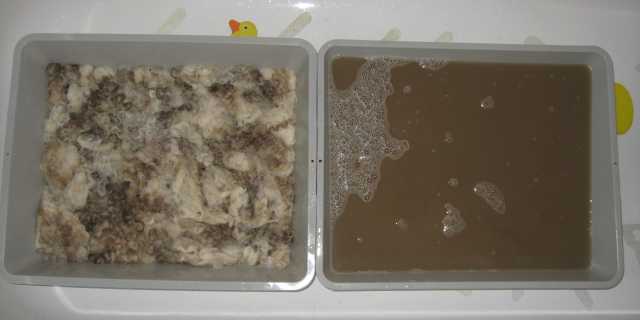 Extra water is draining out of the wool in the tray on the left as it sits there without its lower tray. The locks aren't disarranged and the fleece is almost done. FIVE STARS to this set-up when used for wool washing. As a close-out, it was only $13. After confirming that it worked as well as I thought it might, I went back and got another one. I can put two of these set-ups in my bathtub simultaneously. If I watched TV, I'd be happy to see a commercial for a great fleece-washing kit. I suspect, however, that there aren't enough people in the TV-viewing demographic who need such a device and so those of us who need tools like this will have to discover them on our own. They got one thing close to right: It's (very nearly) as easy as 1-2-3! P.S. There's apparently a new version of this device that has a snap-on litter guard. I can't think of what use that would be for fleece-washing. UPCO, where we have gotten pet supplies for a number of years, has the simple version like I got, at a decent price (although not quite close-out level). Jeezopete, that's brilliant! I wish I'd thought of it. That is totally cool. It probably has other arts/crafts applications, but I'm not sure what they might be. PS I love the duckies in your tub. Completely confirms for me why I buy roving. Nasty business, that. Ah, Leslie, this is especially grubby fleece, selected so it will show the effectiveness of the process. Just for you, I'll be sure to take some pictures of relatively CLEAN fleece later in the summer. I'm running down to big lots tomorrow!!! I washed fleece today and daydreamed about how handy it would be to poke holes into the bottom of a plastic bin (my cat's litter box gave me the idea...) But, I think I'll buy two so that I can put the fleece into one sifter and then place the other sifter on top, and swish it in and out of the sink to rinse well. Thanks for the tip! Yep, just brilliant! I'm up to my knees in fleeces needing washing, so this is VERY timely! I work at a "Lots"-type store, so I'll have to take a stroll over to the pets section today and see if we've got these, too. Thank you for the great idea! And, love your roses, too. I'm also a big fan of the older roses - love the big floppy singles. yeah, I need to get one (some?) of those! It would be great for fleece sold in the locks ~ like Wensleydale or Teeswater. Thanks for the tip! Genius! Why didn't I think of that. As you can imagine, I wash a lot of fleece. I'm on a quest now! I wanted to thank you for the great post on using the litter pan for cleaning fleece. As soon as I read about it, I went out and got a set and started cleaning the Cormo fleece I picked up at Lambtown in Dixon from Sue Reuser. It worked like a charm and kept the structure of the fleece/locks intact! 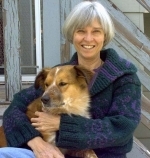 Your blog is a wealth of information. Thank you again. Thank you for a great idea. I got a set at the "Mart", and have been using it for a lot of Rambouillet that I was given. It works wonderfully.